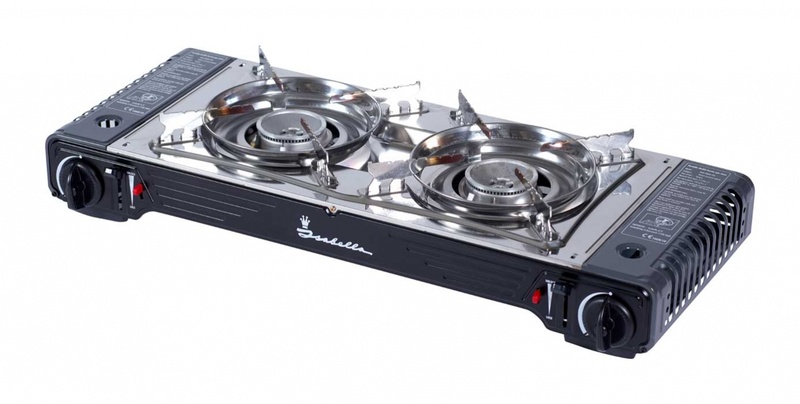 Make cooking easier with a Double Gas Stove. Many of us will have tried to cook a meal whilst camping using a single ring stove. It's not easy simultaneously trying to heat up one pan then the other. So why not take the stress away and buy a double ringed stove? 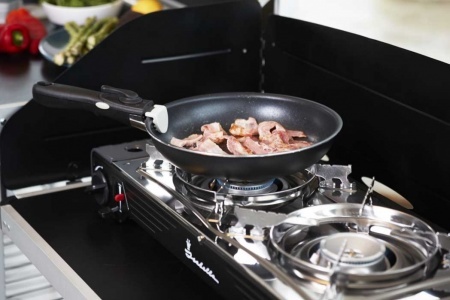 There is no requirement for electricity, so these stoves are great for camping, beach BBQ's and wild camping where there is no electricity supply. There is a flame supervision device fitted to the stove that stops flammable gas going to the burner if the flame is extinguished. The stove is made of stainless steel so it is easy to clean and there are separate controls for each ring. It comes with a black plastic case to prevent damage and for easy storage. The dimensions are 67.9 x 28.6 x 12.5 cm so it's not too cumbersome and weighs in at 6kg.